Make a Tax-Deductible Year-End Donation! Just five days left to give your tax-deductible year-end gift to help families escape poverty housing. The longer you wait – the longer they have to wait for a new home and new hope for the future. Please give now to support Habitat’s impact on families in need of safe, affordable housing. We rely on people like you to help build and repair homes and revitalize neighborhoods in the Ozarks And we use your gifts wisely – with 100% of every dollar going directly to programs that help local individuals and families. 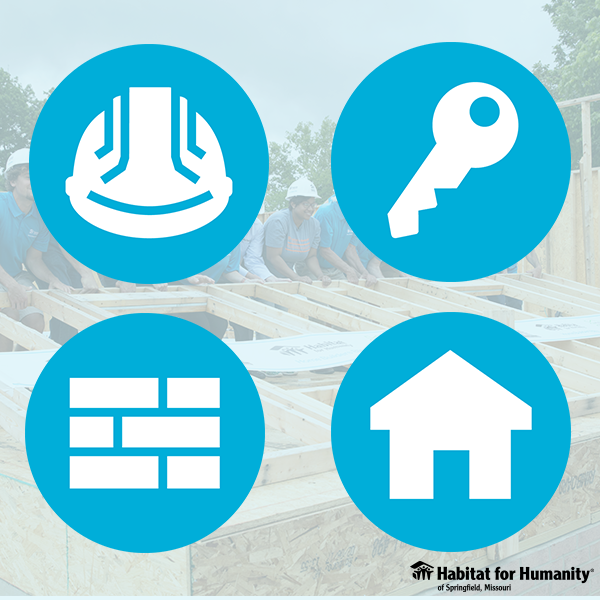 Together, we’ve empowered more than 570 families to build homes and brighter futures. You’ve changed lives. You’ve inspired men and women in need to stand side-by-side with us, pouring thousands of hours of sweat equity into their homes and others in their community. And together we can still do more. Please make your year-end gift now, before the deadline at midnight on New Year’s Eve.